Bare feet hit the floor early in the morning, the drape of a clean white gown unravels from under the sheets. A little girl with sandy blond hair and freckles like cinnamon sprinkles, yawns, pulls on a sweater and sticks her feet into her tall rubber work boots. You see the girl as she stomps out of the house, pushing through the screen porch door and hear it’s rusty hinge slam shut behind her, she clobbers down the porch steps and out across the yard, one foot turning slightly into some mud and manure. “Ouch” escapes her tongue in her groggy morning voice. You hear the stool being pulled from the barn wall, it’s legs scraping it’s way down. She sits on the stool, scooted up next to her goat, the hem of her gown has gathered muck. She milks the goat as she sings softly, “In the morning when I rise, in the morning when I rise, in the morning when I rise, give me Jesus”. She leans her forehead into her goat, tenderly and patiently doing her chore as she does twice a day, as she’s done every day since she could get that stool down off the wall. She like’s being relied upon, she likes being needed. It makes her really fit in here. Here, service means family. She muddles up the ramp going into the henhouse, the hem of the once white gown collecting hay that’s now sticking to the muck. The hens cackle softly as the girl says “excuse me, pardon me, just here collecting the rent honey”, her little hands reaching in, her hair lights up golden in the sunrise streaming through the cracks in the henhouse, and the freckles on her face seem to dance as she smiles. She says to the hens ,“The worker deserves her wages, and I woke up hungry today!” She turns around and heads back to the house after dropping their scratch feed down for the hungry chickens. They cluck their thanks and get busy eating the morning offerings as she heads back to the house, her day only beginning. my dog lucy is the second dog we’ve owned named lucy. it’s a good name. i recycle. we used to have hens. the husband got a job at a chicken plant and we had to get rid of our hens. if we had any other birds we would have to get rid of them too. i went to a school for gifted children when i was a child. i went to a christian school as a child. i was home schooled as a child. i was one of two white girls in a school as a child. Scott drove a plymouth horizon when we met. 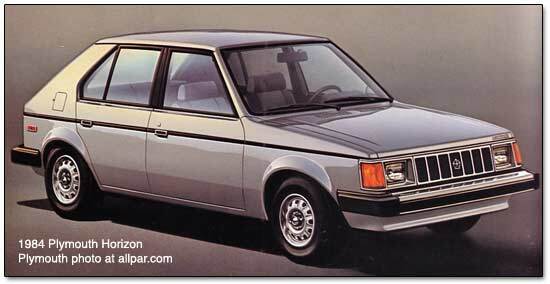 i drove a dodge omni when we met. i shampooed Susan Day’s hair. she was nice. juan juan hair salon is where i worked in 90210. you say “juan” with the J, not silent like “yuan”. my favorite candy is mike n ikes. original please. i love my ipad. i can do everything there except blog. well i probably could blog but i don’t like typing on that teeniny keyboard. i was born in 1973. i’m a “youngin” according to most folks around here. my parents are native to north carolina, so this is like home to me. my dads family got here (usa) via shipbuilders. the “haddock” men were builders of boats used to bring over pilgrims! i wouldn’t have known that if we didn’t home school our kids. the eldest did a research paper on it last year. cool beans! i collect enamelware, but only if it can be used and is functional. i love handbags/purses/totes. it’s an addiction. if there were a 12 step program for it i’d totally go. i love to watch tv, but only when i can watch a bunch of episodes of the same show, in a row. hulu is good for that. this was going to be a post titled “ten random things about me” but then i went over ten, and talked about my husband.